Please join us on September 20th at Levinson Hall, JCC in Squirrel Hill for our 2018 Annual Membership Meeting. Engage with our board members and committees, learn about the projects and developments happening in our neighborhood. 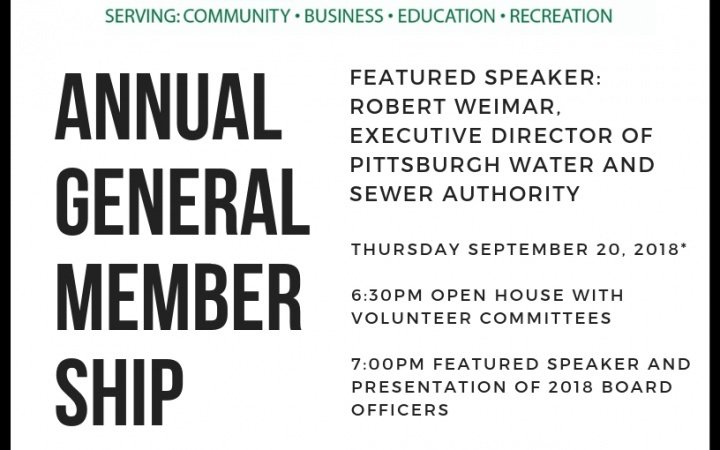 Our featured speaker PWSA Executive Director Robert Weimar will be on hand to answer your questions about the current direction of the organization. All are welcome!